Dreamy setting and the fence makes the image, Gill. All is vibration in this photo . 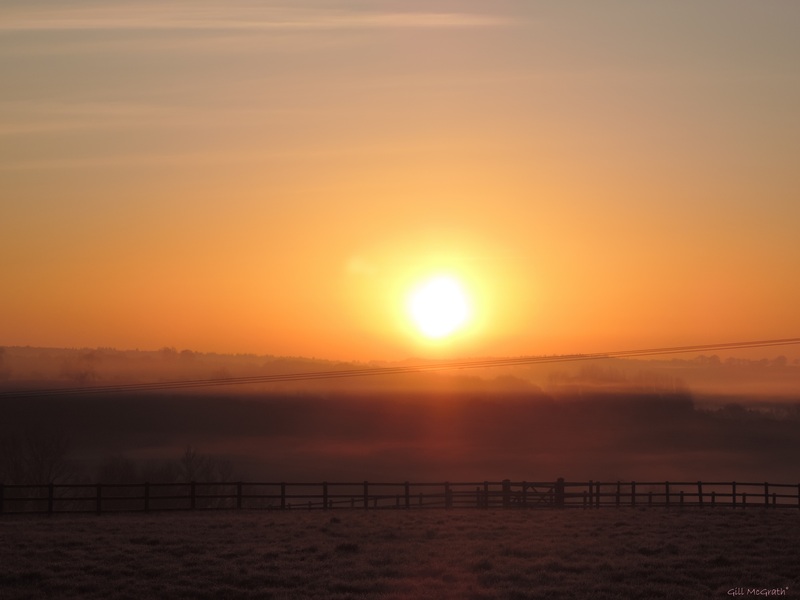 The rays of the rising sun make illuminate the mist above the undulating countryside. Technically this photo is a success . it is great to succeed to picture so well with such nuances the sun . No new post Gill ? Hi there! I just got an E-mail, telling me that you have started to follow my blog. Great; but you’ve started to follow my first blog that is filled to the limit. So I’ve started a 2nd blog to continue. You can find it here: https://harrienijland2.wordpress.com/ You’re very welcome and there’s a blue follow-button on the right side.. See you! Cheers, Harrie.